I produced this series of 32 podcasts for Sinfini Music and the Edinburgh International Festival. Written and presented by Radio 3 broadcaster Sara Mohr-Pietsch, these are great bite-sized pre-concert intros. 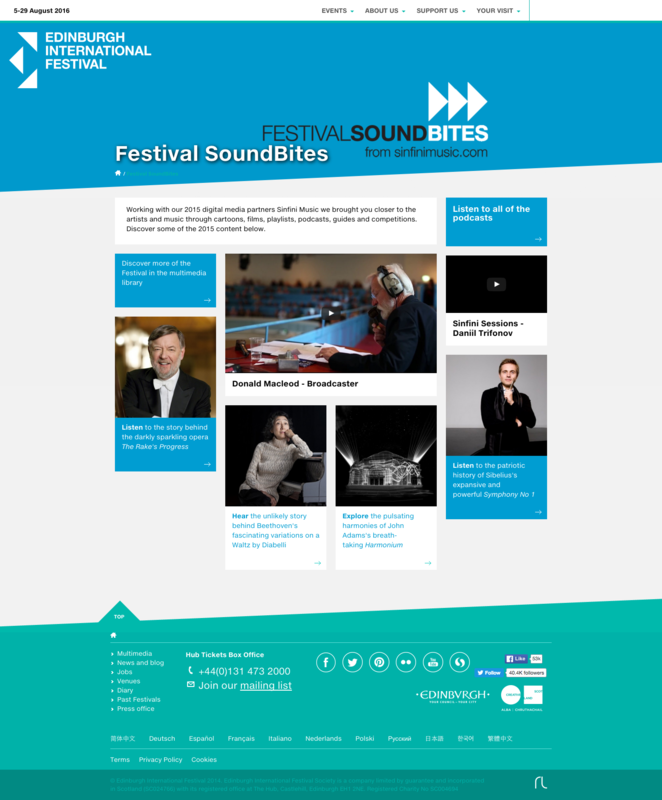 Created as collaboration between the Edinburgh International Festival and Sinfini Music, Festival SoundBites are small audio stories bringing you closer to classical music’s most enduring pieces.